Following 18 processes shall be implemented in organization for achieving CMMI level 3 certification. When considering an identity management solution for your business, it can be difficult to figure out what your options are. This book teaches you everything you need to know to understand what SAP NetWeaver IdM is, what it can do for your business, and whether it is the right fit for you. You’ll learn everything from functionality and integration to project management issues and scenarios. ProductDossier flagship product, TouchBase, is an enterprise software solution platform. It is completely web based software and can be used to automate business processes across the organization. Backed by the skilled professionals, we are involved in providing IT Security Project Management. Customers use the various services of Techno I and benefit from our know-how in consulting, planning, project management, engineering, service and commissioning in all areas of CCTV, Security, Fire Alarm, Control and Hospitality Management Systems. Wish Line Engineering Consultancy Private Ltd.
Cal-Info integrated solution is build on a framework that covers the following areas: Front office, Admissions, Registrations. The company has developed an integrated project management system to present a virtual contract status report to its customers and online PERT is available to manage the contract. Halliburton Integrated Project Management is a process and expertise driven approach to the management of drilling and completion programs. 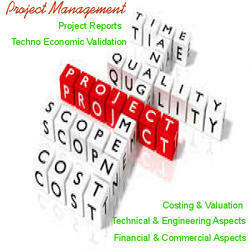 Integrated Project Management (IPM) team delivers complex project solutions on an outsourced or collaborative basis. PROJECT INTEGRATION MANAGEMENT : Keeping everybody working towards tha same goal and dealing with changes. 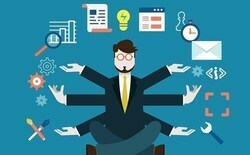 - Develop Project Management Plan. - Direct and Manage Project Execution. - Monitor and Control Project related work. Project Integration Management is the integration of all the process and activities involved in identifying defining, combining, unifying and coordinating the various processes within the project management. Integration management is a collection of processes required to ensure that the various elements of the projects are properly coordinated. Our project management processes, well integrated project management tools, and senior management involvement at every stage of the project ensure that you will benefit from de-risked project management.